I have to start off by saying how adorable my class was today! We had Gingerbread Week last week and one of the boys brought the whole class gingerbread men at snack time today. The kids instantly started running around singing "Run, run, fast as you can, can't catch me, I'm the gingerbread man!!!" Then they turned it into a game of gingerbread tag. Super creative and so darn cute to watch! So it's my turn on the fabulous Sleigh Full of Goodies bloghop! Thanks a bunch to Beth from Thinking of Teaching for starting this! I LOVE the holidays! There are so many things to learn, so many projects to make, and just plain cheerful excitement! I seem to have an endless supply of holiday crafts, but I like to rotate them. I teach K-2, so I can't do the same thing every year when my students loop with me for 2-3 years. This means, I have lots to share with you! Ok, so in signing up for this amazing little blog hop, I realized some of you are at very scrooge-like schools that ban Christmas. So you are getting snowmen! 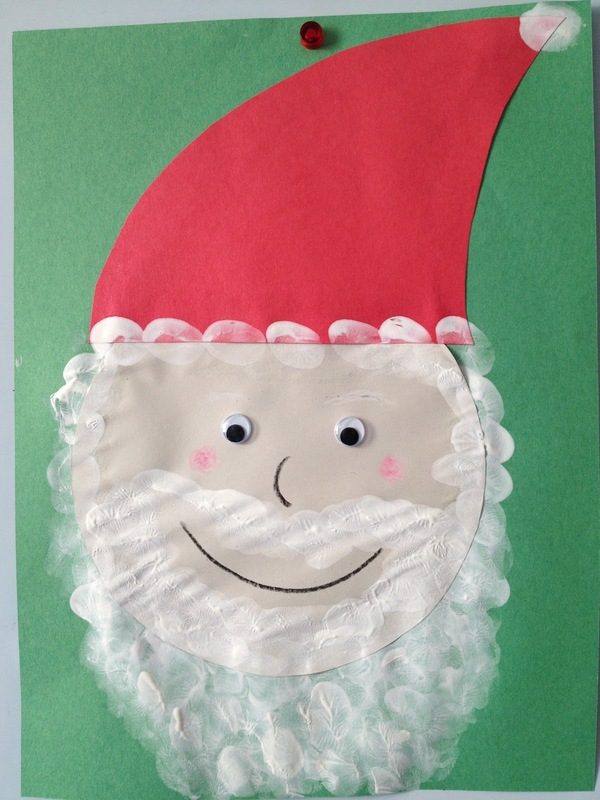 Plus, a goofy little Santa craft I made up just because. 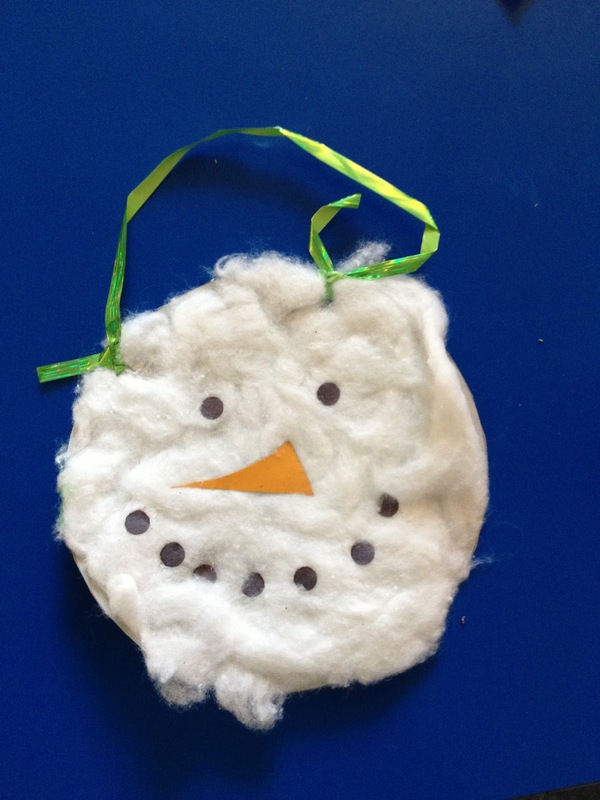 So you'll find 2 snowmen crafts, 1 Santa craft, and a snowman freebie as you happily read along. This little gem was created several years ago, so forgive the smushy face. It should be much fluffier when you have it freshly made! All you do is cut out a circle out of something stiff (tag board, cardboard, or in my case the side of a cereal box). Hole punch two holes in top for the string before it gets all gluey. Then pull apart some cotton balls to stretch them out and glue them on to the cardboard. The face is made out of hole punches from black construction paper, and a scrap of orange paper. 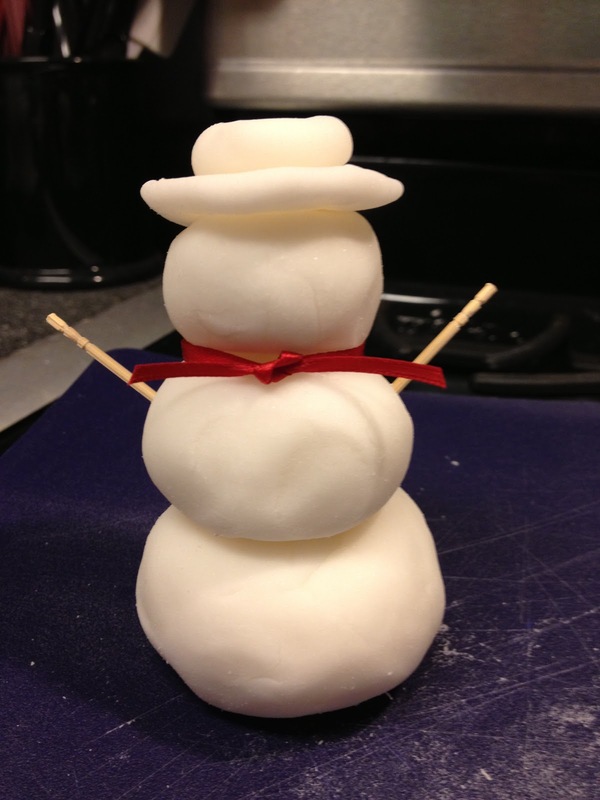 This adorable little clay snowman is going to be the parent gift this year! I'm super excited about my little idea because it covers the kids with families that do not celebrate Christmas. So I'm deciding if I'm going to use this clay recipe, or find something else like the clay you bake in the oven after the craft is made. Please share awesome clay you can make or buy if you know of one that doesn't crack! My snowman slowly started forming a bunch of cracks as it dried, although I'll be honest, I did transport it to work before it was dry. The kids saw my project and are begging to make one, and they said they didn't care about the cracks. So we'll see. I've included step by step photo instructions below! NOTE: I've discovered Model Magic by Crayola is great for this!! Skip the dough recipe below and use that instead!! 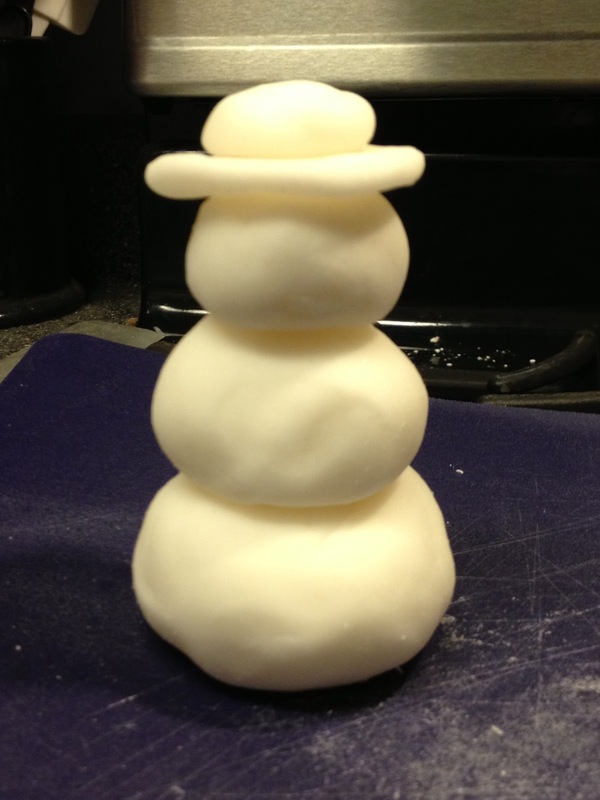 1) First I made the clay/dough using this recipe and cooked it until it looked like mashed potatoes. I love that it's perfect "snow white" color. Then I let it cool. 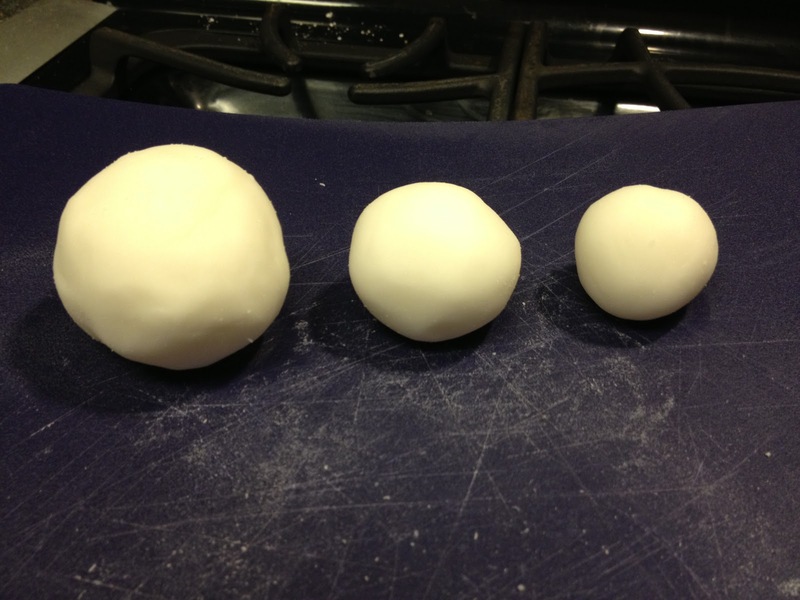 3) Make 2 tiny balls (smaller than the head). Squish one flat, and push the other down just a little. These will make the hat. 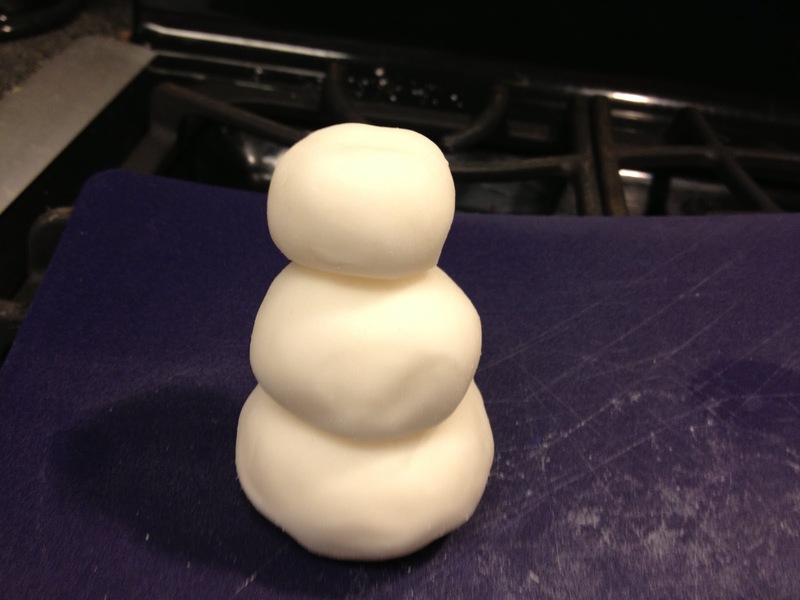 4) Stack the first 3 balls together to form the snowman. I used a toothpick down the middle so it will stay together once the clay dries in case the clay pieces don't stick together all the way. 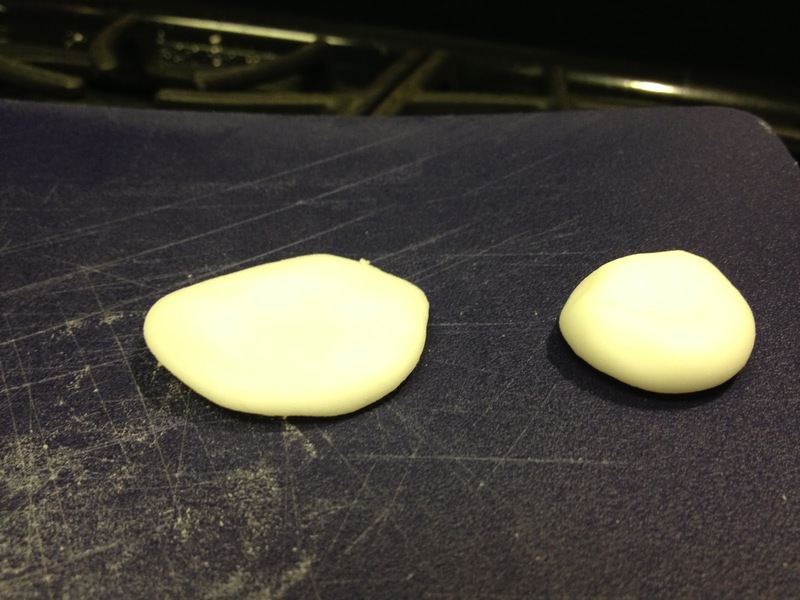 5) Put the 2 flattened pieces on to form the hat. I also used a cut toothpick to secure it (poke it in the head, then put the hat on top). Yes I know I'm really technical, poking poor frosty in the head! 6) Stab in 2 toothpicks for arms (or sticks from outside work too) Then tie a little bow. The bow can wait until it's dry, but I was rushing the process for this little sample to show you/my class. 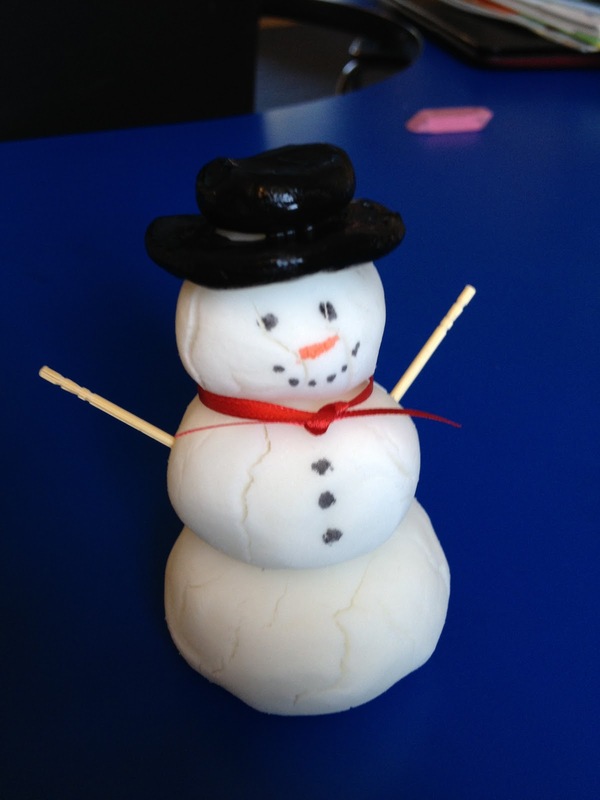 7) When the snowman is all dry, draw the face and buttons with sharpie markers. The hat can be painted with tempera paint. Thumb print some white tempera paint for the beard. This works best if you do one layer, let it dry for a while, then add another layer. It can be done with cotton balls too, but I was trying something new today. Now time for your FREEBIE!! 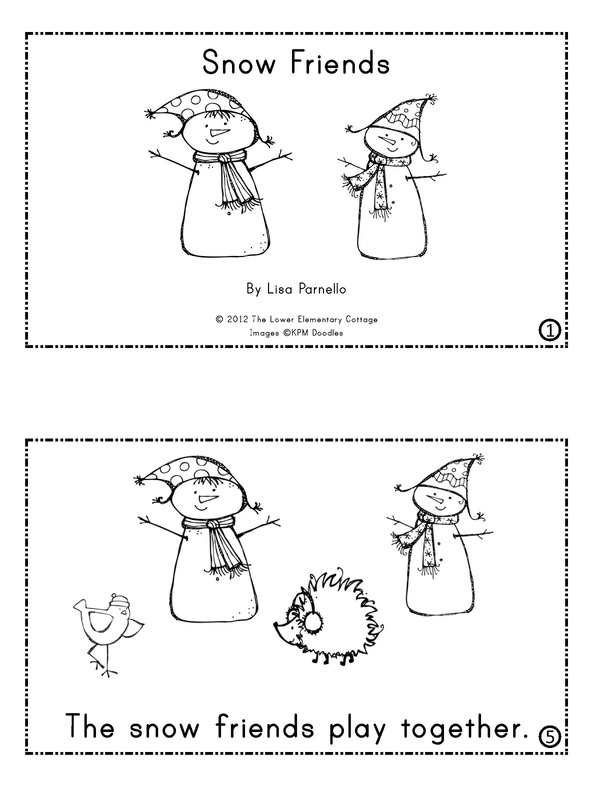 Click the image to get this *freebie* from my TPT store! Don't forget to keep blog hopping! Look who's next! These are just the next few days! There are 12 days of goodies heading your way! Thanks so much for joining in with the blog hop! I really appreciate it. Thank you so very much for the free items. 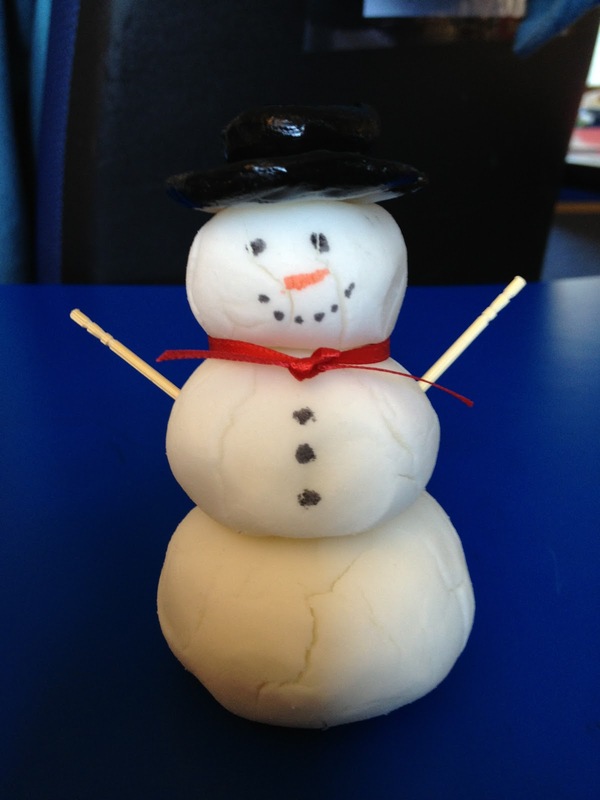 Love the snow friends reader! Thanks!